astronomy | Vincent Cannataro, Ph.D. The recent cold snap across the U.S. dusted off some neurons that hadn’t been used since Earth Science- and in the process I made a pretty cool (lol) connection with some images of Saturn recently released from NASA. 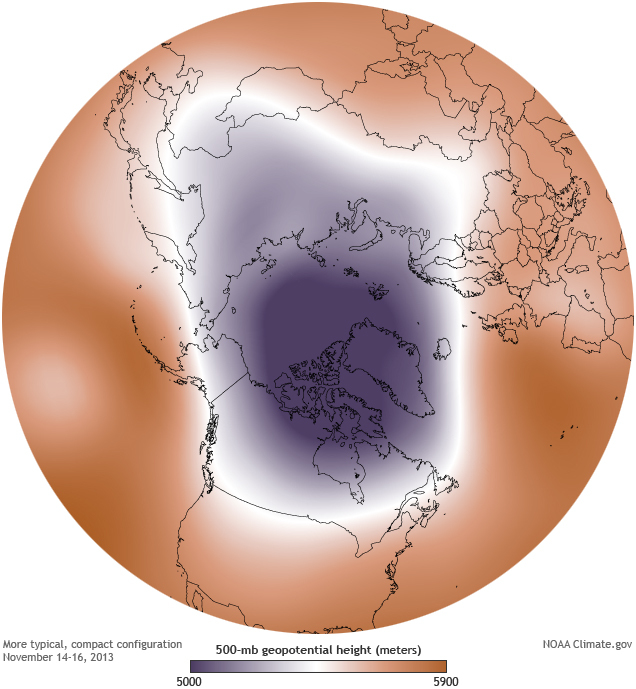 The Earth has a vortex of cold air spinning around its North Pole, and in early January this vortex branched out and dropped a blanket of cold air onto the Americas. 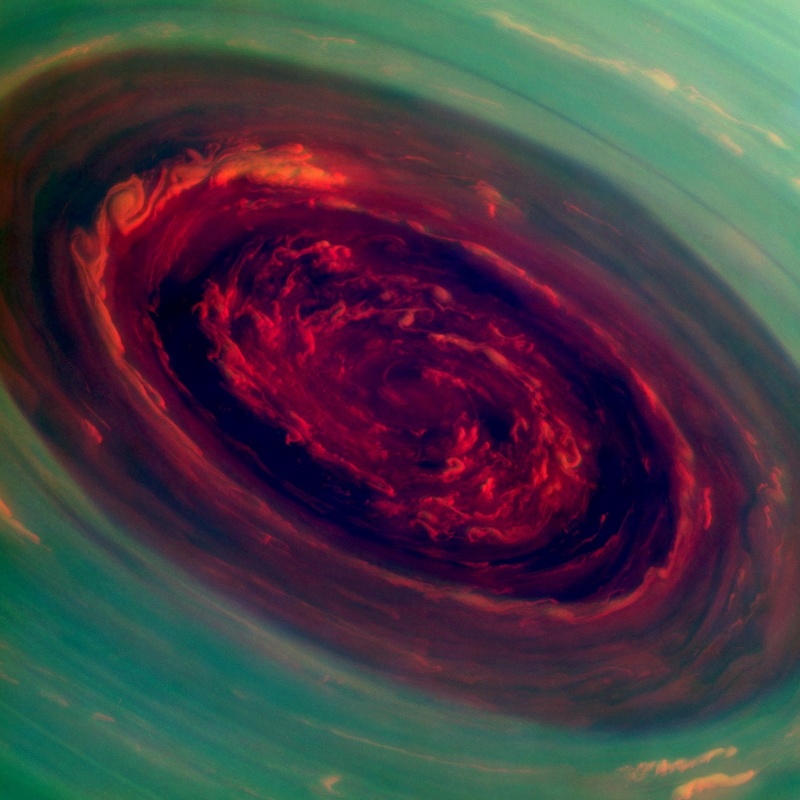 The beautiful series of images above was taken from the Cassini spacecraft. “The hexagon”, as it’s known, has a hurricane at its center with cloud speeds of 330 miles per hour. 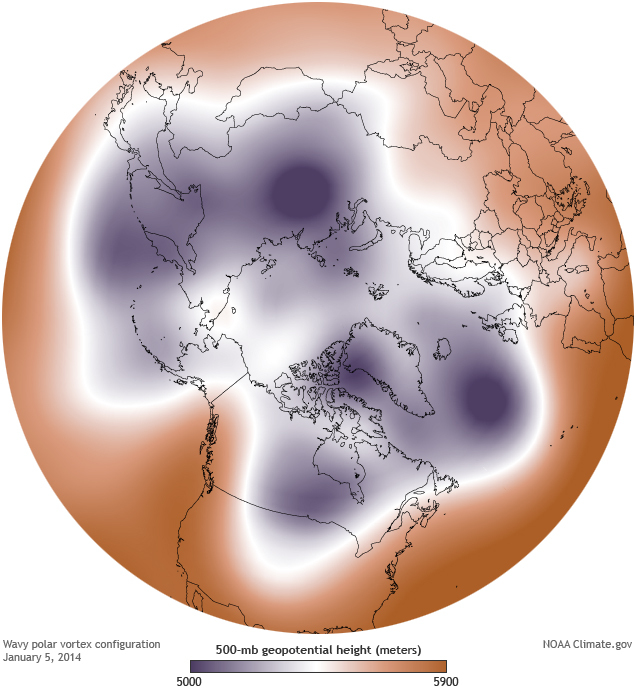 It’s awesome to see well-documented phenomena on Earth taken to their extreme on foreign planets. Hopefully we’ll see more as we continue to explore the worlds in our solar system and beyond. Check out more stunning images of the hexagon here. Our message to the cosmos. 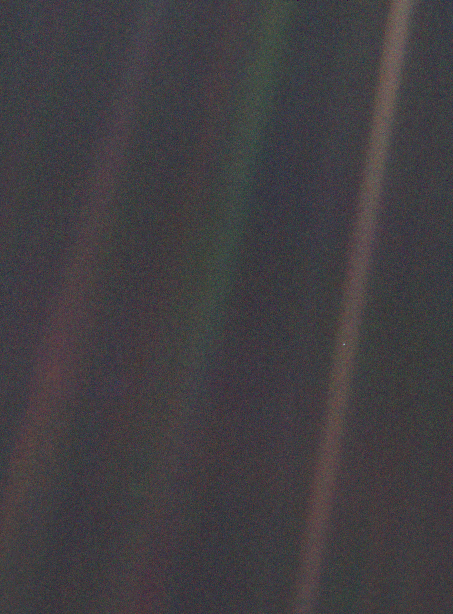 The Pale Blue Dot image taken 6 billion km from Earth in 1990. Voyager, continuing with the momentum gained from its primary mission, has recently left our solar system and started its secondary mission of being a message in a bottle from our species to the cosmos. 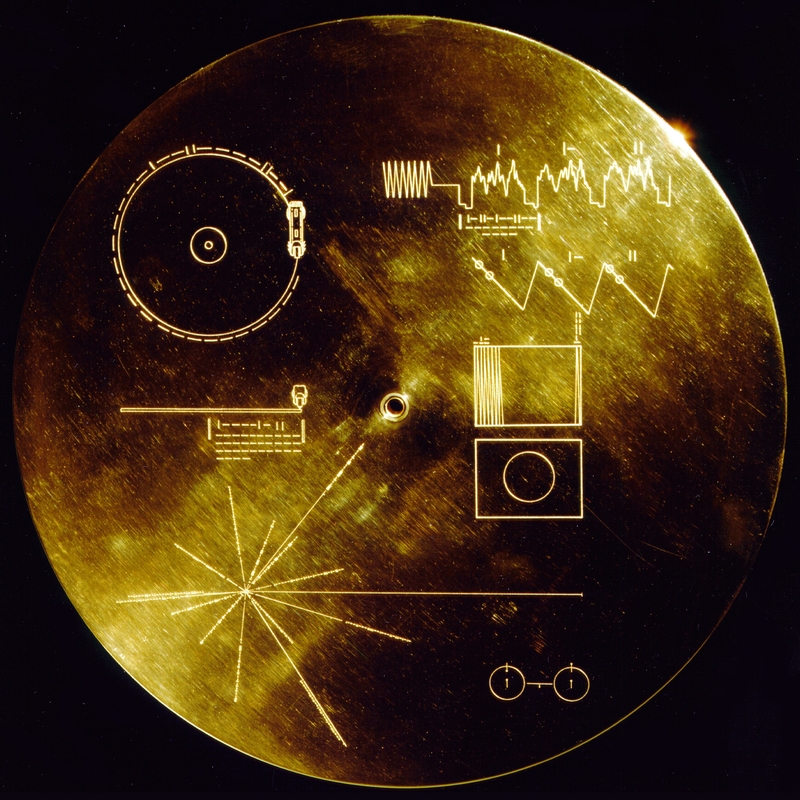 The message is stored on an easy-to-read golden record, and contains greetings in different languages, sounds from Earth, brainwaves of a human, and images from around the planet. The cover of the record contains an easy to read explanation on how to retrieve the data– defining time units in the universal constant of the fundamental transition of the hydrogen atom. The location of our solar system is also printed on the cover, in relation to 14 pulsars with unique periods. It’s awesome to know that there is a time capsule of our species and planet floating through interstellar space- likely to last billions of years in the cold reaches between the stars. I’d like the think that one day something pics it up and gets to hear Johnny B. Goode by Chuck Berry.